Both the new F150 Raptor and the Ranger Raptor will be offering the latest in Ford technology. This new system is basically cruise control for off roading, that will allow owners to set a speed between 1 and 20mph, and the truck will both maintain that speed and adjust the power to each wheel for optimal traction. Here's a quick overview of how it works. Although i'm interested in getting the new F150 Raptor, the upcoming Bronco is also on my radar and I believe it can benefit a lot with this technology. Lexus for example wouldn't see nearly as much success with the LX if it wasn't for their version of this tech called Crawl Control. Glad to see that Ford is updating their tech for the new MY, as Toyota has a similar system implemented for a few years now. Though an important difference between the two is that Ford's system can be used in any driving mode. 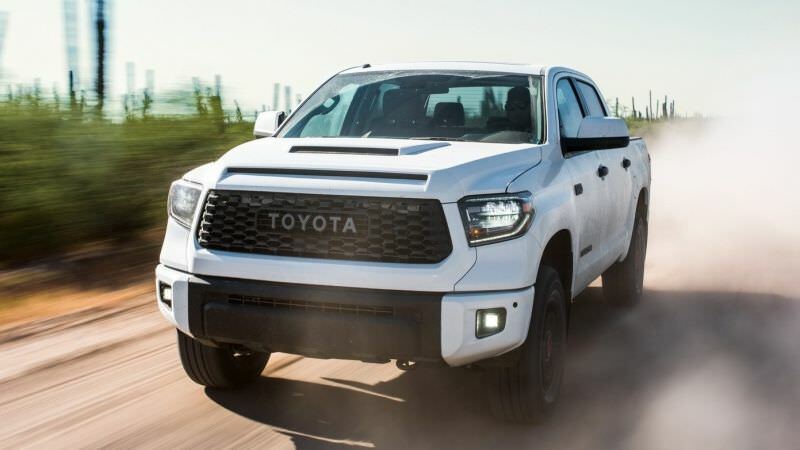 Just a note that the 2019 Tundra TRD Pro is only about $900 less than the Raptor. Toyota's have never been on the bleeding edge in terms of styling either, and I really don't know what they were thinking with the double hood scoop? We should really just be glad that Toyota is starting to take some risks with the design language. Their trucks in particular have become really stagnant over the past few generations. I do think that the new pricing may hurt interest in them though. Toyota hasn't taken much risk considering the new Tundra isn't far off from the outgoing version. Other pick up makers like Nissan have taken drastic moves but still came out winning, see the new Titan.